Meatballs are well known, but they are of Swedish origin. Norwegian meatballs, called “meatcakes” have a different recipe, they are bigger and they are browned in hot butter before simmered in a brown gravy and served with potatoes, vegetables and lingonberry/cranberry jam. A guest on this website has asked for the recipe of meat cakes. There are many different recipes for meatcakes in Norway. This is a proven variant from the Norwegian branch of the Lillejord family, and we thought more members of the Lillejord family maybe could be interested in learning about Norwegian food culture. We recently had a visit of a ‘Lillejord’ from Anchorage, Alaska. 26-year-old Kyle Carpenter has been on a three-week bike ride in Norway together with three friends, and used the opportunity to visit Beiarn, where all the Lillejord’s origins are. Kyle at Lillejord where his great-great-grandfather was born. Ruins from the farm house in the background. Kyle has worked as an Engineering Specialist at Siemens Industry Inc. since he graduated from his Energy Systems Engineering studies at the University of Wyoming. This autumn he starts on a MBA at the University of Alaska. Kyle visited The Stave Church in Beiarn — together with church owner Magnus Stensland and Berit Bakken Strand. Kyle is a descendant of Peder Johan Lillejord, who was his great-great-grandfather. Peder was born in Beiarn in 1853 and emigrated from Norway 13 years old together with his parents, Hans Petter O. Lillejord and Margrete Nilsdatter, and 8 siblings. As an adult he settled near Madison, Minnesota. Here he married Jørgine Arnesdtr, who was also born in Norway; In Eidskog, Hedmark county. They got four children that grew up, and Kyle is a descendant of the youngest, Melvin Selmer. Kyle also visited a sami dvelling, a turf hut or ‘gamme’ as it is called locally. It is built of turf on a skeleton of birch trees. Kyle tells us that he has had quite good experiences as a cyclist between Bergen and Trondheim, and he has been well received where he has traveled. We thank Kyle for visiting Beiarn and look forward to seeing more cousins here. We have tried to find more information of Jørgine Arnesdtr. Thanks to Bjørn Gunnar Lindalen for all help. The baptism of Jørgine Arnesdtr. April 10 1864. Her parents were Syver Arnesen and Marthe Hansen. In the last column you find the sponsors. Can you read their names? They lived at Gransæteren in the township Eidskog, close to the Swedish border near the city of Kongsvinger. In 1872 the whole family immigrated to the US. The emigrant records for the family Arnesen. In additition to Jørgine there were two children, Hilda and Charlotte. They left Oslo April 17 with the ship Concordia and were ment for a town called Bentson. We don’t know exactly where that is. Kyle also helped his host picking cloudberries, and he also visited a sami dwelling, a turf hut or ‘gamme’ in Norwegian. The Reunion video has been silent for some time. The video contained a copyrighted audio track. Due to copyright claims, the video sharing website has permanently disabled the soundtrack. Now, however, the problem is resolved and the sound is back. Enjoy the video once more. During the last six months we have received a lot of new updates from family members in the US and Canada. The first came from Kristi Anderson who lives in Edmonton AB. She has reported on Lars Stabel Lillejord’s eldest daughter, Lorense. She lived in Norway and had her family there. However, her husband died and all the family left Norway and joined Lorense’s parents and siblings in Canada. Here she remarried and had three more children, among them Kristi’s grandfather. 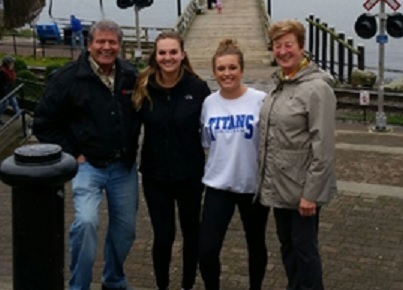 On the photo we see Lorense’s grandchildren David and Ireene, flanking the great great grandchildren Jenna and Kyrie-Lynn. The next contribution came from Karlyn Ramsay. She lives in Plymouth MA and is a great great granddaughter of Martine Lillejord, the youngest of Hans and Margrete Lillejord’s children. She is eager to visit Norway and see people and places there. The last contribution came from Jordan Michael Beriault. He is of the Peder Johan line and has given information on Peder’s daughter Lillie Othilda’s descendents (The Lund’s). Thank you all three for bringing the Family report forward. You’ll find the Report here. ‘Hi, I’m hoping this website is still active, as I’ve been trying to locate my dad’s family. I am a descendent of Lorense Marie Larsen; I’m her great-great-granddaughter. I know that Lorense Marie Larsen was born April 17, 1874. 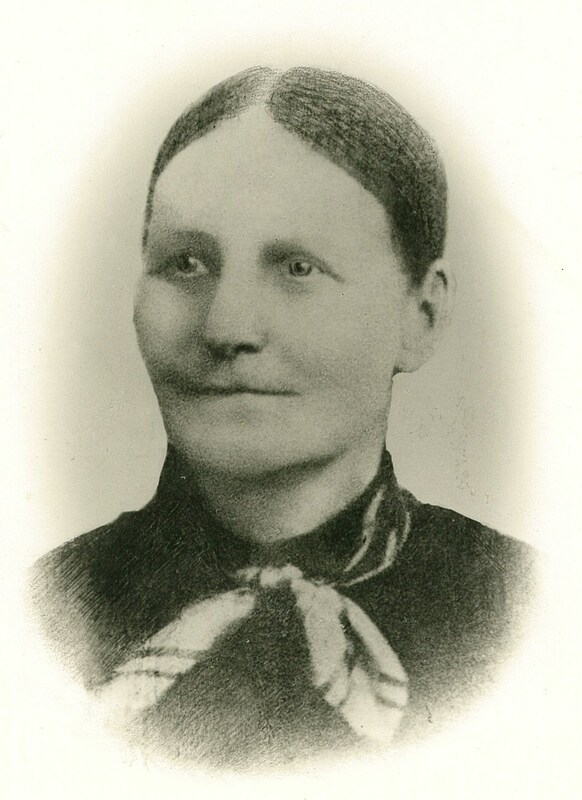 Her sister was Hanna Kleven (Larsen) born April 10, 1878. Additional family were Hans Larsen, Anna Bonner (Larsen), Olaf Larsen, Tina Walker (Larsen), Bertha Solie (Larsen) and Krist Larsen. Lorense Marie was born in Boda, Tranjen, Norway. She married Hans Magnusen who passed away in 1908 before Lorense came to Canada. Dates may be a little off as some of the info I have is a bit hard to read. We saw immediately that the writer had come to the right place, and we confirmed her hope – both the status of the website and that she finally had found her dad’s family. Lorense Marie Larsen was the eldest daughter of Lars Stabel Lillejord and wife Maren Olsdatter. Lars was meant to follow the family to America in 1866, however, according to local tradition; he changed his mind and stayed with his sister Hanna Pauline at Os in Beiarn, in the county of Nordland. Lars and Maren had their own homestead in Beiarn, called Einan, from which some of Lorense’s children later chose their surname. Lorense married Hans Magnussen and they lived different places in the district until Hans died in 1910. Then Lorense and her children moved to her father’s farm, Einan, in Beiarn. Her parents and all her siblings had, at that time, emigrated from Norway and homesteaded in Canada. Life was hard for Lorense. She lost her youngest daughter, one-year-old Anna Hansine, the same year, and she had no income. The municipality had to support her and her children. July 26, 1911 Lorense and her six children left Norway to join the rest of the family in Canada. A comment in the emigrant record says, ‘Tickets paid in America’. In the new homeland Lorense met her new husband. His name was Holm Andreassen, born in Norway in 1878, and immigrated through the US to Canada in 1914. They settled north of Buffalo Gap in southern Saskatchewan and had three children, Norman (1913), Henry (1916) and Mary (1918). Holm Andreassen changed his name to Holm Peter Anderson in Canada, often just called ‘Pete’. He came from Skredderstad, a little farm in Enebakk, a neighbouring municipality of Oslo, the capital of Norway. More information on the family will be published in Lillejord Family Report on this website. Sadly, the grand old lady of the Lillejord family, Thora Ernstsen, passed away January 12, at the age of 100 years. She celebrated her last birthday on December 23 in good shape; she seemed satisfied at reaching the age of 100 years. 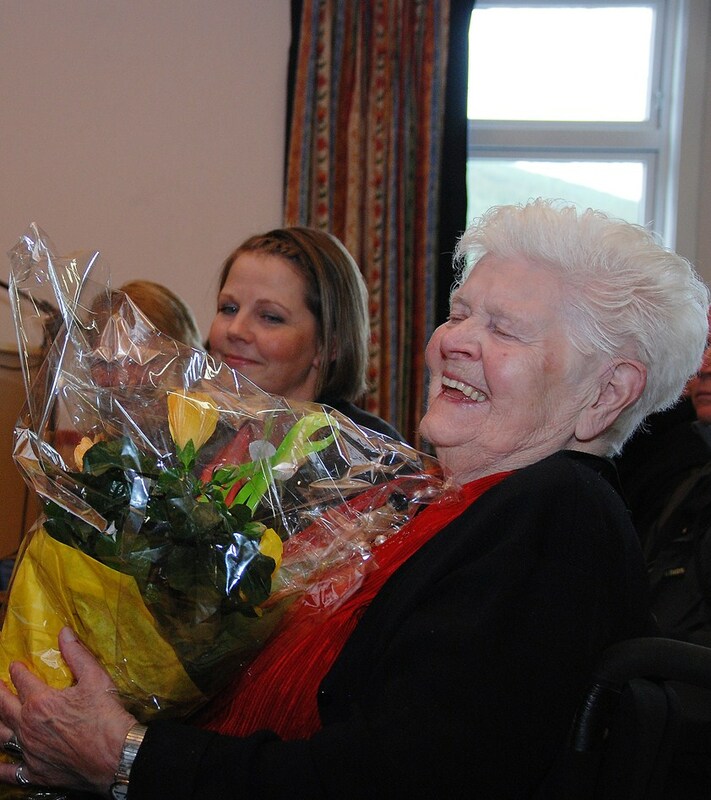 We remember Thora, as the magnificent woman, that participated at the Lillejord Descendant Reunion in 2010. She appeared with a charming, natural charisma and had a kind word to everyone. She had fun during the reunion and expressed pleasure, meeting so many relatives. Thora was the granddaughter of Elisabet Anna, and the great granddaughter of Hans Petter and Målfrid. She lived most of her life at Pettermoen, a small mountain farm in Saltdal, as a farmer’s wife and a mother of 5. She lost her husband in 1972 and lived almost 40 years as a widow. The last few years she lived at the nursing home in Saltdal. A memorial service was held on January 19 at Ovre Saltdal church. Burial followed at the nearby cemetery. We will remember Thora with reverence. Peace be with her memory.